Health Information is an exciting career which provides a way to enter the medical field without providing direct patient care. Health information professionals work directly with health information systems to ensure the quality of patient medical records. Arizona College’s massage therapy program is designed to provide you with the education and training needed to reach your goal of becoming a massage therapist. Massage therapists provide their clients with much-needed relief from pain through the careful manipulation of soft-tissue muscles—an important service that is essential to our health and well-being. Do you like using computers and technology? Do you find the medical field interesting, but prefer a medical career that does not involve providing direct patient care? Then a career in Health Information might be for you! Health Information specialists are healthcare professionals who ensure the quality of patient medical records by verifying their completeness, accuracy, and proper entry into computer systems. Dental assisting is an ideal career path if you like working in one-on-one settings, possess excellent communication skills, and can juggle a wide range of responsibilities. A dental assistant career offers you the opportunity to play a critical role in a busy dentistry environment. Dental assistant responsibilities include providing chairside assistance to dentists and hygienists during dental procedures and performing clerical duties, such as scheduling patient appointments. As you prepare to become a medical assistant, choosing a program that includes opportunities for real-world experience, hands-on training, and post-graduation support is key. 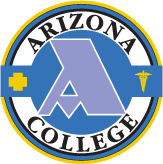 An education from an accredited school, such as Arizona College, can prepare you for a successful career as a medical assistant. Medical assistant responsibilities include procedures and tasks directly related to patient care, such as updating medical records, preparing medical instruments for doctors and physicians, performing clinical and administrative tasks, communicating with patients, and drawing blood. Arizona College’s program, which is ASHP accredited at our Glendale campus, provides the education and training required to become a pharmacy technician. The pharmacy technician career is a rewarding line of work that demands attention to detail and the ability to thrive in a busy work setting. Pharmacy technicians play a critical role in providing quality patient care on behalf of a pharmacist by acting as gatekeepers for prescribed medications, compounds, and devices. Not only is the demand for pharmacy technicians growing, but it is also a rewarding career path that allows you to work in the medical & pharmaceutical field. Phlebotomy, which is the practice of drawing blood, is an essential skill within the healthcare industry and is offered in Arizona College’s Medical Assisting program. Medical assistants can have a significant and meaningful impact on the lives of patients. Your entry into this rewarding health career begins with medical assistant training.